This last weekend we raced at the July SCTA El Mirage lake meet. I'm sorry that I didn't get this out sooner, but as you will see there was not a lot of good news to report so I procrastinated. We finished up all of the required canopy work and all of the extra work required for an enclosed drives compartment. We also finished up all of the trailer work (the trailer tows much better now) and even smeared on more Bondo (with lots more sanding). All told, we were ready to race. Saturday, Mark brought up the race car from San Diego and I pulled our tent-trailer up from Orange County. We got to the lake about 11:00 am, set up camp and put the car in line for inspection just after noon. 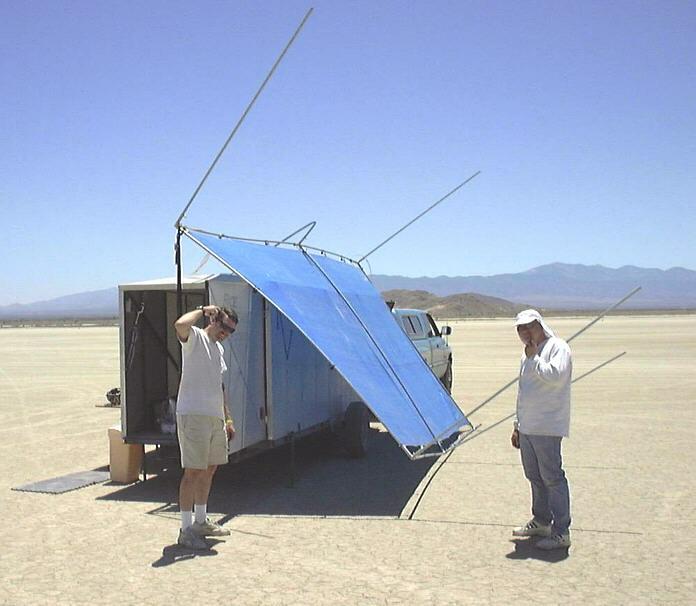 The wind up in the high desert was gusting really bad Saturday afternoon and we returned from inspection there was a surprise waiting for us at our camp. We shot a photo at sunset so you could see what the car looks like with all of its part put on. Sunday morning we were in 48th position to run (not everyone shows up so we were more like 35th). James got to take the first run since he had not driven the car yet. was running lean... We don't know if it will effect the new motor... But for now we know the car is safe and drive-able and we are proceeding with the Hayabusa motor starting this Saturday. 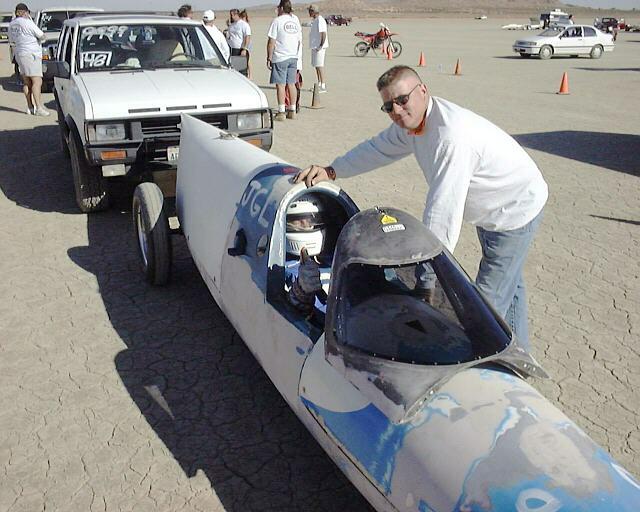 Then next race for the car is September 16 at El Mirage.